NAILS Magazine is committed to ensuring that the next generation of professional nail technicians receives a top quality education. 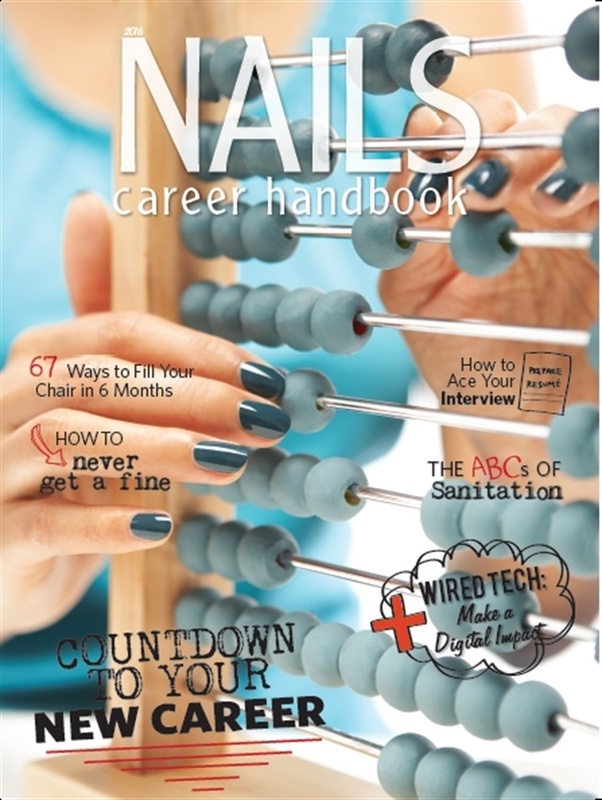 Because of this committment, we want to give you a valuable resource for your students: The 2016 digital edition of NAILS Career Handbook is now available for free online. Please share the link with your classes to help get their job searches off to a strong start. You may even want to bring an iPad to school, so students can pass the issue around while waiting for clients at the salon or during breaks between lessons. A limited number of hard copies of the NAILS Career Handbook are available each year, so this is the perfect time to sign up for the 2017 edition via our Partners in Education program. With the NAILS Partners in Education program, we provide free subscriptions to schools and instructors to use as an in-class teaching tool, customized 6-month free subscription certificates for your nail care students, free copies of the NAILS Career Handbook and free copies of VietSALON. You Might Also Like: Quick Quiz/Handout: Are You Ready for Your State Board Exam?